Wishing you and yours a wonderful and peaceful 2008! 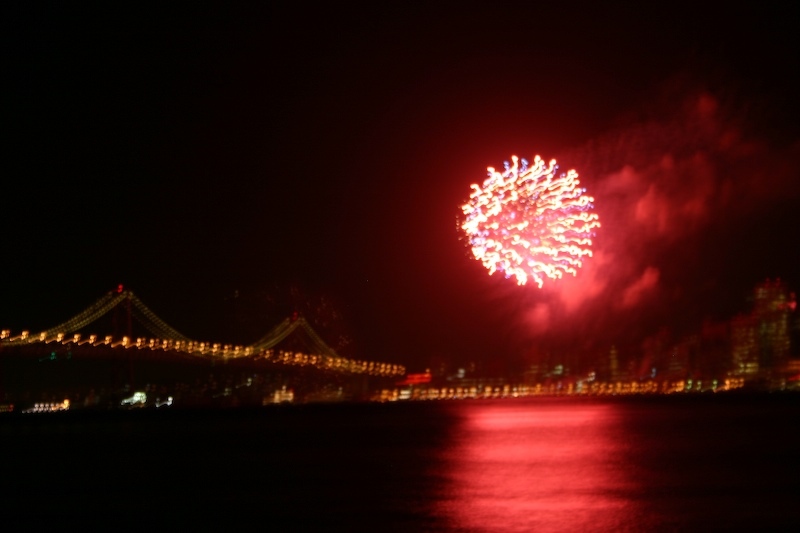 Photo of SF fireworks taken a few years ago on New Years Eve. The same to you, dear Mad!! Amazing capture! Happy new year! Is it back to work for you tomorrow? If so, have a good day. If not, have a good day anyway!! Was there any snow at the Hideaway? We have plenty here, I've just shovelled the whole driveway, and now there are mountains of it either side! Wishing you and your friends and family a happy and healthy 2008! Right back atcha. . . here's to a wonderful 2008.